← Todd Thibaud Performs Live! 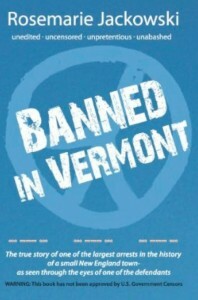 Banned In Vermont author Rosemarie Jackowski discusses current politics. Kate Lambert of How to Sponsor a Uterus fame discusses the video and comedy in general. Music by: Sinead O’Connor, Shirley Ceaser and Ann Nesby, The Temptations, Maria Muldaur, Elliot Smith, Lar Duggan and Ellen Powell, Keb’ Mo’, Tret Fure, The Wild Colonials, Angélique Kidjo, The Runaways, Emmylou Harris, and Janis Joplin.